(I) The Open De Espana aka Spanish Open! 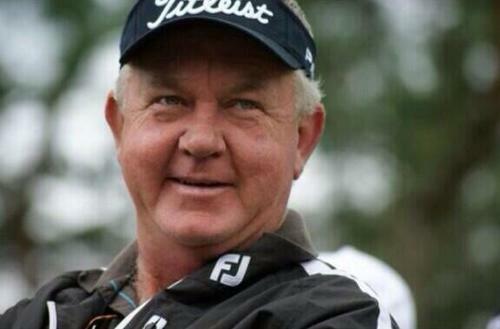 – Links to articles and blog posts about the glorious game of golf! (I) The Open De Espana aka Spanish Open! Before focusing on this week’s Open De Espana (or for English speakers the Spanish Open! ), a quick reflection on the Madeira Islands Open is needed. Not for the fact that the 1500th European Tour event was constantly disrupted by fog delays, resulting in a reduction to a 36 hole tournament, but that unfortunately, golf lost one of its great characters on the course on Sunday. Iain McGregor, who suffered from a heart attack and passed away on Sunday evening. Sometimes life offers up cruel blows and this was certainly one of those moments. The ongoing argument over whether the tournament should have been postponed is not what is needed at the moment.This was certainly a unique incident that nobody had prepared for.May he rest in peace. Just a short journey from Portugal to Spain this week for the European Tour players. Well actually that is not entirely correct, as a lot of them either took the week off or were at TPC Sawgrass, so apologies for beginning with some partially false information! It is another small Italian that I believe may get back to winning ways this week. Still only 21 years young, Matteo Mannassero (40/1) has four European Tour victories under his belt (who came up with this saying? ), since he turned professional wayyyyyyy back in 2010, when he also won the Rookie of the Year award. (Kinder) Surprise! The Spanish Open is mine! Manny has made it a tradition to win just one European Tour event annually, with his last victory coming at the illustrious BMW PGA Championship in May last year. However, 2014 has the potential to be his most rewarding season so far,and this week could be the first step to breaking this ‘curse’ (would most pro golfers be happy to win one tournament every year of their career??). Just like Kinder (one of his sponsors) who offer up ‘surprises’ to their customers on a regular basis (courtesy of their eggs…), now is the time for Manny to produce a 40/1 surprise treat for all the punters willing to back him this week. An each way flutter seems to be the correct bet this week. He’s tipping me again this week? Really? Like Manny’s annual solitary victory, it is becoming a bit of a tradition that to back a Molinari on a weekly basis, and this week is no different. 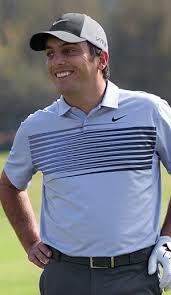 Even at very short odds for a pretty short man, it cannot be denied that Francesco Molinari (14/1) will be challenging for the title all the way this week, until eventually losing in a play-off to Manny. Solid or stupid prediction? You decide for now, and let’s see on Sunday how it all pans out… Forza Italia! Top 5 finish this week? So many whys, but I say why not?? This is probably the most unlikely tip you will see for a while, but hey, remember 75% luck…so here goes. 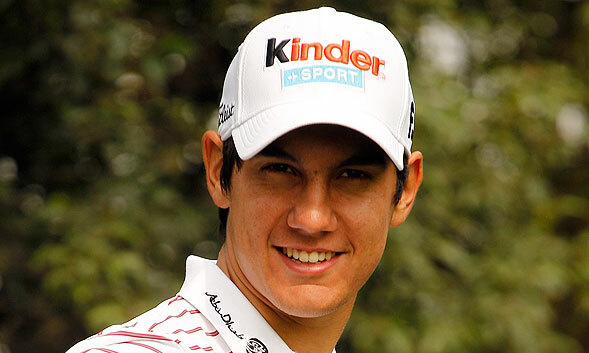 The nominee for this week’s Top 5 at the Open De Espana is… world number 341, hailing from South Korea, ………Mr. 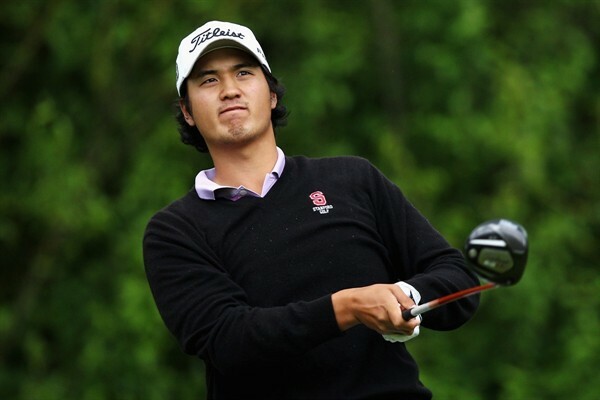 Sihwan Kim (50/1 for Top 5). Why you ask? Well he made the cut at The Championship in Singapore, two weeks ago, so his confidence will be high, I believe. I am not going to lie; this is a stab in the dark, but every now and again, these come up trumps, so expect the 25-year-old Seoul native to finish in 3rd spot behind the ‘Italian battalion’ this week. Fingers and toes crossed!